Well, the XenoShyft: Dreadmire Kickstarter has ended in a rousing success. Now begins the work of getting the game produced and sent out to eager backers. But what if you weren't a fan of the sci-fi deck-building game? Or maybe you were a fan and backed, but you also love the world of Arcadia Quest and want to see the next product for it? Well, at the end of the XenoShyft campaign, we've got an announcement about the next CoolMiniOrNot project coming to Kickstarter, Masmorra: Dungeons of Arcadia. 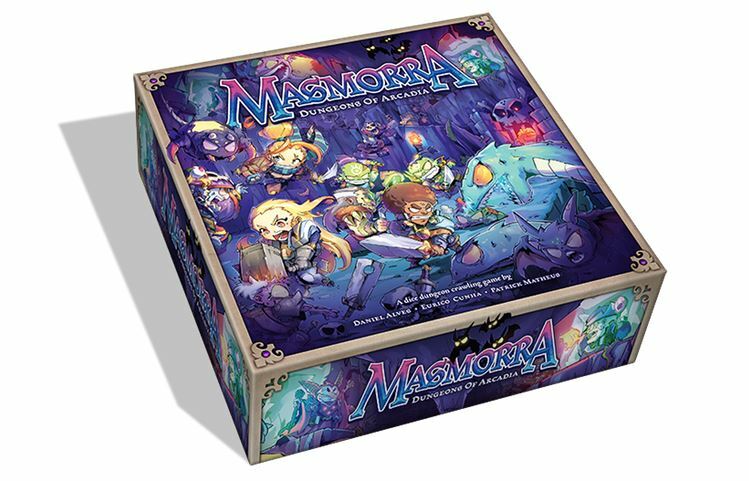 Masmorra: Dungeons of Arcadia is a whole new game based on the Arcadia Quest world. This is not an expansion for Arcadia Quest, but a whole new game that sees players head deep into the dungeons that lay beneath the city of Arcadia. The dungeons, originally used as a training ground for future guild members has been taken over by the evil wizard Malaphias. He's since turned it into his own domain of death. You must go in there and get him out in this new dungeon crawl board game. Expect more details as we approach the launch of the Kickstarter, which will be sometime near the end of this month.